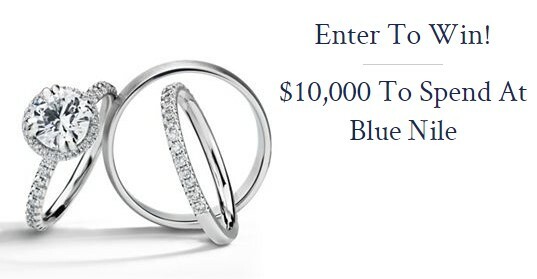 Blue Nile wants you to try your hand at winning $10,000 this fall so that you can spend it all on the jewelry of your dreams at Blue Nile! Grand Prize (1): $10,000 to spend at Blue Nile, awarded as a Blue Nile gift certificate or credit. This Sweepstakes ends on 10/03/18 and you can ENTER ONCE to win.